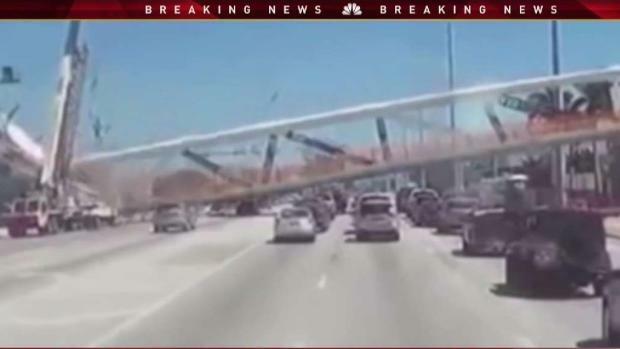 The National Transportation Safety Board on Thursday released new information indicating design errors were the likely cause of the collapse of the FIU pedestrian bridge in March. NBC 6 Investigator Tony Pipitone reports. The National Transportation Safety Board on Thursday released new information indicating design errors were the likely cause of the collapse of the FIU pedestrian bridge in March, which killed six people. "Errors were made in the design of the northernmost nodal region of the 174-foot-long span," the agency announced in an investigative update. That is the area where severe cracking was seen two days before the collapse, and the agency said that cracking "is consistent with the identified errors." The agency had the Federal Highway Administration review design calculations and construction plans, and that assessment revealed the errors. NBC 6's Tony Pipitone has the latest from the NTSB nearly eight months after the tragic event that killed six people. The FHWA also tested concrete and steel pulled from the rubble, and found those materials did meet standards, the NTSB update states. 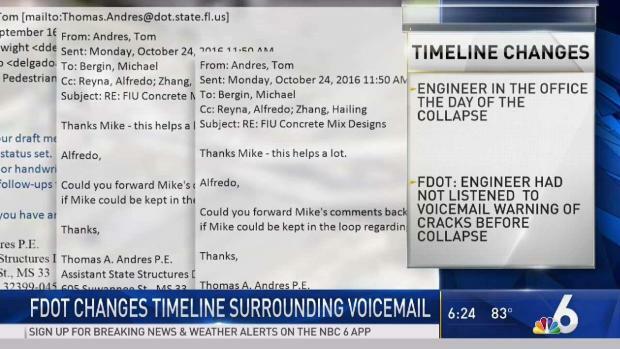 So design errors – not material defects – appear to be to blame, though the NTSB says its investigation continues “to examine the design, review, and construction processes as well as the actions taken once the cracking was observed." FIU released a statement Thursday night saying the university is continuing to fully cooperate with the NTSB. 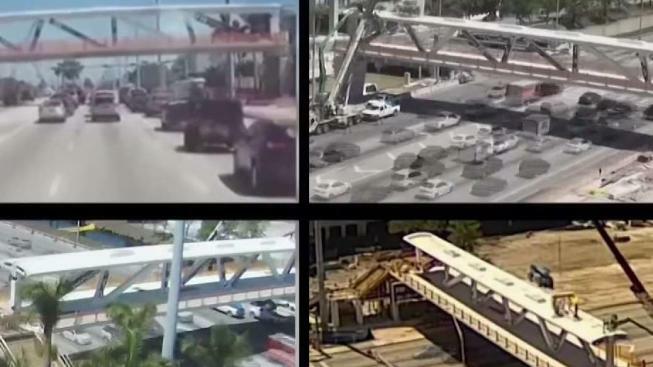 The Florida Department of Transportation Thursday changed its timeline in the Florida International University bridge collapse.